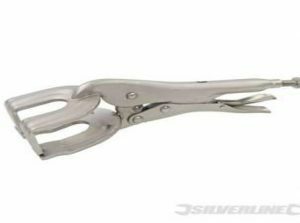 Steel clamps, nickel-plated for corrosion resistance. With adjustable opening and quick-release lever. 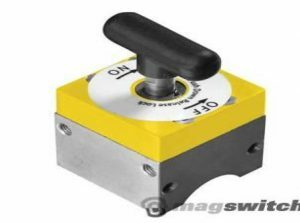 WORK-HOLDING SQUARE WITH MAGSWITCH ON/OFF TECHNOLOGY FOR COMPLETE CONTROL.EXERTS A STRONG MAGNETIC HOLD ON 5 SIDES AND PROVIDES FAST EASY MULTI-PLANE WORKHOLDING FOR POSITIONING STEEL. PRE-TAPPED HOLES ON ALL SIDES FOR MOUNTING JIGS & FIXTURES.MOUNTS ANYWHERE. FOR USE IN WELDING, WOODWORKING OR ANYWHERE STEEL IS USED. OFFERS 45,60,75 AND 90 DEGREE ANGLES WITH A VERTICAL BREAKAWAY OF 90 LB (40KG) ON 1/4′ STEEL. 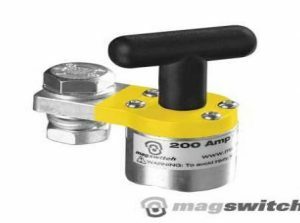 FEATURES MAGSWITCH TECHNOLOGY FOR COMPLETE ON/OFF CONTROL. 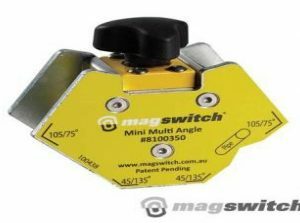 STRONG, COMPACT AND LIGHTWEIGHT FOR SMALLER JOBS ATTACHES TO FLAT OR ROUNDED SURFACES. EATRHS INSTANTLY. SIMPLY PLACE ON A CLEAN SURFACE TURN ON AND START WELDING. FEATURES MAGSWITCH TECHNOLOGY TO OFFER COMPLETE ON/OFF CONTROL SO METAL DUST SIMPLY FALLS OFF. FAST POWERFUL GRIP ON FLAT OR ROUNDED SURFACES. Sheet metal clamps, nickel-plated steel for corrosion resistance. 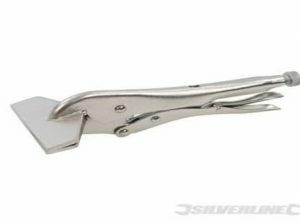 Adjustable opening and quick-release lever. 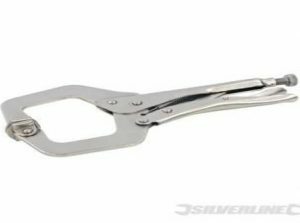 Steel clamps, nickel-plated for corrosion-resistance, with adjustable opening and quick-release lever.